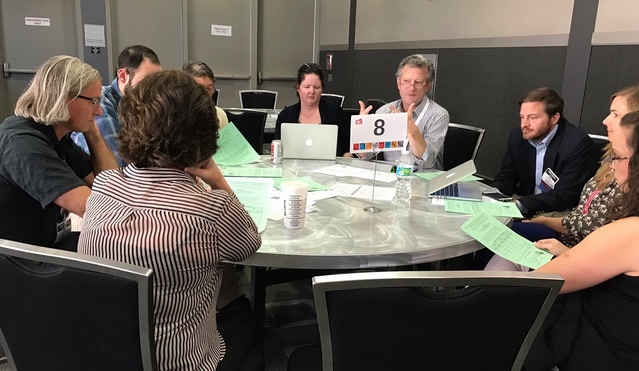 Tarrant Institute associate director John Downes EdD '16 (center) leads a roundtable discussion at AMLE's national conference. Photo credit: Katy Farber. Tarrant Institute director and College of Education and Social Services associate dean Penny Bishop receives the John H. Lounsbury award, AMLE's highest honor. Photo credit: Lauren Curry. Researchers and collaborators from UVM’s Tarrant Institute for Innovative Education delivered a record 14 presentations at the 2016 Association of Middle Level Education (AMLE) national conference this week. This opportunity for the Tarrant Institute to share so much of its research at this level supports middle-level educators around the world in pushing their practice forward -- as well as helping guide the direction of emerging questions about young adolescents and their development. Presentations shared by Tarrant Institute personnel covered personalized learning, student goal-setting, and partnering with students in co-creating learning, as well as findings from an ongoing case study on personalization and flexible pathways in Vermont middle schools. Mark Olofson, Tarrant Institute research fellow and EdD candidate in UVM’s College of Education and Social Services presented his research on how adverse events in early childhood present unique challenges for students in middle school. Several of the presentations involved distance collaboration with educators and students at partnering schools around Vermont. In a case-based examination of assessment in proficiency-based classrooms, educators and students from Burlington, Montpelier and Rutland presented jointly with Tarrant Institute researchers via videoconferencing. A number of the presentations were also made in a roundtable-style setting, giving researchers the chance to more fully explain the implications of research findings on practice, as well as gather feedback from other middle-level educators in attendance. 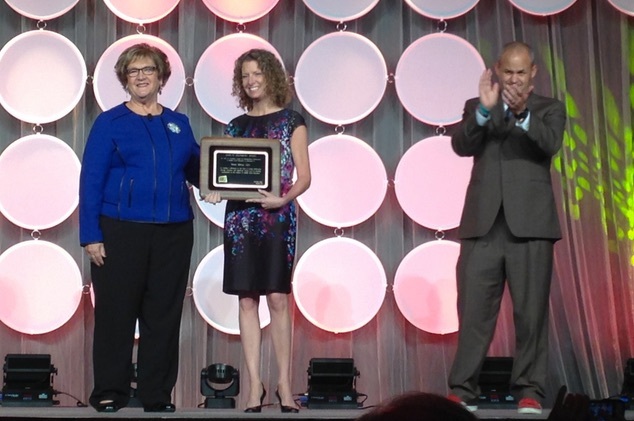 This year’s conference, held in Austin, Texas, also saw Tarrant Institute director and College of Education and Social Services Associate Dean Penny Bishop receive AMLE’s John H. Lounsbury Award. The award constitutes the AMLE organization’s highest honor. It recognizes a superlative level of achievement in scholarship, service, leadership and contributions to the theory and practice of the ideals of middle level education.